The artwork you display in your home and office makes your life more enjoyable. It also tells others, quietly and with distinction, how sophisticated you are. This Asian Flowers Collection offers several images that are memorable. Many people say these images make them feel relaxed and happy. WHO WILL LOVE THESE PAINTINGS? For the flower lover, the Sharyn Bowman Arts Asian Flowers Collection was NOT created for those who prefer completely realistic depictions of flowers. Asian brush art is a watercolor method. It began in China and Japan centuries ago. The intent of the art form is to capture the spirit of the subject, not a realistic representation. People appreciated the delicacy and beauty of these slightly abstract images. The love of these paintings spread throughout Asia and to the Western world. 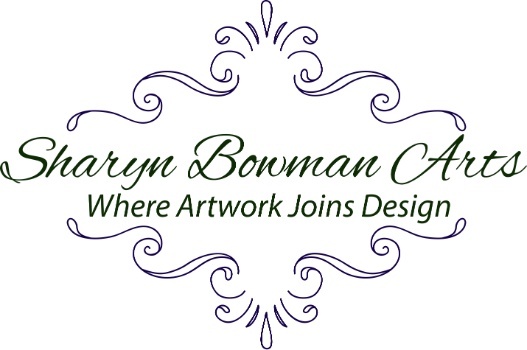 Sharyn Bowman Arts offers these beautiful paintings as limited edition prints. Only 10 prints of each image are available. When those 10 prints are gone, that is the end of that edition. Any of these gorgeous prints, hung singly or in a group, will grace the walls of your home or office with an air of elegance that will impress many people. The delicate images and gentle colors enhance your space without overwhelming the décor of the room. Only 10 limited edition prints available for each painting. You cannot purchase paintings through my website at this time. But it's coming soon! Become one of my Special People to know when it happens! If you would like to discuss investing in artwork or have any other questions, please Contact me and we will be able to discuss this easily.